If you have been around the triathlon world for as long as we have here at Tri247, you'll likely be familiar with the name Bill Black. Even if you are relatively new to the sport, if you've ever raced at the Blenheim Triathlon or London Triathlon, you'll almost certainly have heard Bill, who has been one of the commentary team at those races for many years now. Bill was one of the first 'high profile' triathlon coaches in the UK, thanks to his incredibly successful relationship with the legendary Spencer Smith. World Junior Champion in 1992, and then senior ITU World Champion in both 1993 (Manchester) and 1994 (Auckland), Spencer and Bill - along with Spencer's late father (also called Bill) and mother - formed one an incredible team which made Spencer arguably the highest profile triathlete in the world at the time. Spencer's rivalry with Simon Lessing was triathlon's version of the Coe and Ovett battles of the 1980's. 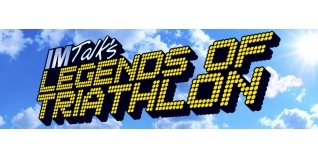 This month Bill Black features on the Legends of Triathlon podcast, brought to you by John Newsome and Beven James Eyles, who also produce the popular weekly show, IMTalk (www.imtalk.me). Their chat with Bill Black is another great listen. The 'Legends' show allows them to go into more depth with many of the athletes, coaches, administrators, organisers and more, who have really formed part of the history of the sport. We highly recommend visiting their archives as there are some great interviews to revisit. By chance, the very first interview they did was with Spencer Smith in November 2011.